Gigacord USB 3.1 Hub Type-C to VGA/USB3.0/Type C Adapter Converter Hub for MacBook,Google New Chromebook Pixel (Choose color) - NWCA Inc.
3-in-1. USB3.1 type C to VGA+USB3.0+Type-C/F Adapter allows you to connect a computer with type C port to a monitor/projector with VGA port or other devices with USB3.0 port (mouse, USB flash disk etc) for easy use.USB3.0 Tech.USB3.0 A/F supports max current 0.9A, providing you high speed transmission up to 5Gbps. Backwards compatible with USB2.0. Transfer your data easily. 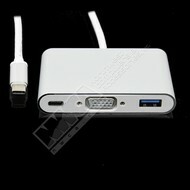 USB3.0 Tech.USB3.0 A/F supports max current 0.9A, providing you high speed transmission up to 5Gbps. Backwards compatible with USB2.0. Transfer your data easily. Max 1080P Resolution. 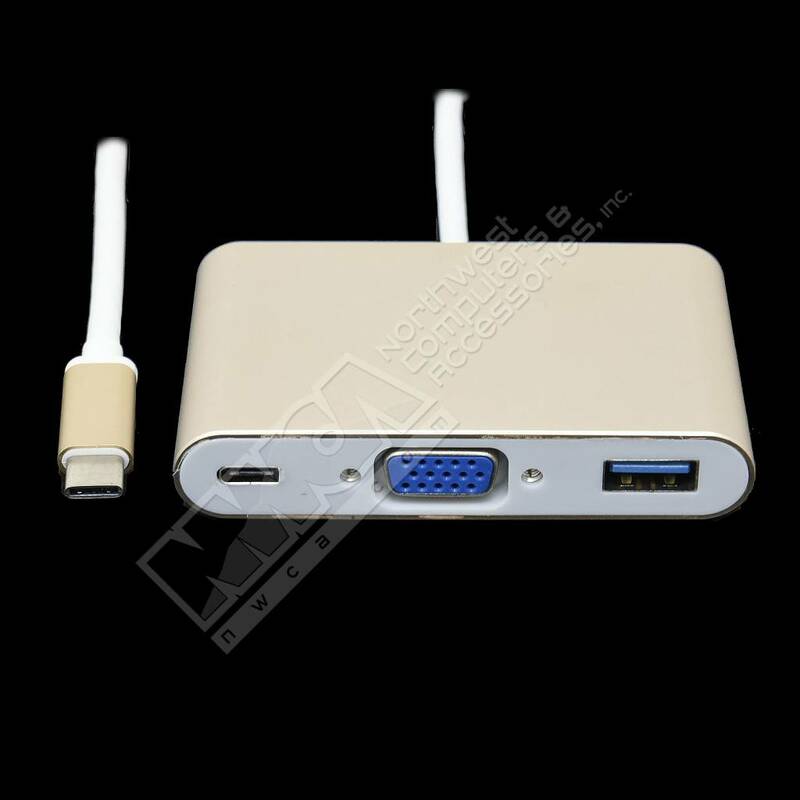 The multifunctional adapter supports up to 2560*1600/60HZ video resolution with the easy connection of most monitors, projectors with VGA port.